The following article was written by Charles Johnson and published on his Rad Geek People’s Daily, December 1, 2007. Obviously Benjamin Tucker had no direct opinions about “anarcho-capitalism,” because the term was not even coined until many years after his death, and several decades after his retirement from radical politics. But Tucker did have quite a bit to say about the relationships among anarchism, socialism, and capitalism, and it may be worth having a look at it. The question’s interesting partly as a matter of historical curiosity, but partly also because it may help shed some light on an old argument which has mostly produced heat. 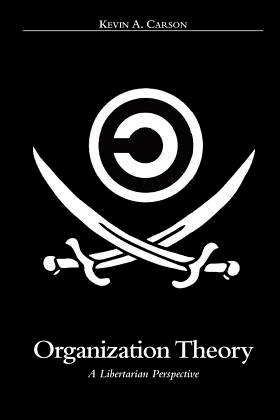 There are certain groups of anti-capitalist anarchists — most of them communist or collectivist anarchists — who tend to start spitting fire when pro-capitalist anti-statists like Murray Rothbard or David Friedman describe themselves as “anarcho-capitalists,” or identify their position as a form of “anarchism” simpliciter, or identify anarcho-capitalism as a close relation of the free-market individualist anarchism of Benjamin Tucker, Lysander Spooner, Victor Yarros, et al. The locus classicus of the fire-spitting on the web is of course Section F and Section G of the “social anarchist” Anarchist FAQ; if that’s not where you’re encountering the debate, you’re almost certain to hear it get cited repeatedly anyway. At this point a heated debate soon follows over whether anarcho-capitalism is a genuine form of anarchism, or an unrelated form of right-wing anti-statism being fraudulently passed off as anarchism. The debate often focuses in on the notion of an anarchist tradition, and the argument turns to the question of (1) whether a pro-capitalist position is or is not incompatible with essential and continuous elements of that tradition; and (2) whether anarcho-capitalism is a legitimate part of that tradition or an independent and basically alien ideology that has just nicked some terminology and a couple slogans from traditional anarchism. And this is where the individualist anarchists get dragged into the fight. Social anarchists and anarcho-capitalists spend quite a bit of time fighting with each other over who gets to claim the individualist anarchists of the late 19th and early 20th century. The anarcho-capitalists point out the Liberty circle’s relentless emphasis on free markets, free competition, individually-held property, and opposition to communism. 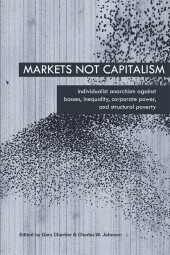 The social anarchists point out Tucker et al.’s self-identification as “socialists,” their relentless explicit attacks on the capitalist and landlord classes, their identification with nonviolent forms of labor militancy, and their analysis of interest on loans, rent on land, profits from the hiring out of capital, etc. as the creatures of state-fabricated privileges to the propertied classes. I don’t want to get too deep into these exegetical arguments right now; I’ve already discussed some of the semantic difficulties involved elsewhere (1, 2, 3, etc. ), and Roderick has a couple of excellent posts on the topic at Austro-Athenian Empire (2007-04-01): Against Anarchist Apartheid and more recently Austro-Athenian Empire (2007-11-11): Voltairine de Cleyre, Anarcho-capitalist? For now, suffice it to say that both sides of the argument are substantially right, and substantially wrong; many anarcho-capitalists have been maddeningly selective, and substantially distorted the individualists in order to obscure or neglect the socialistic bite of the individualist understanding of class, privilege, and exploitation. But the social anarchists have also cut a lot of corners in explaining the individualists’ positions, which mostly serve to make Tucker, Spooner, Yarros, de Cleyre, etc. seem much more monolithic than they actually were, and to make them seem significantly less propertarian, and more friendly towards collectivistic and communistic socialism, than they actually were. Meanwhile the social anarchists’ reconstruction of anarcho-capitalist theory is so ferociously uncharitable, and so far out of touch with the versions of anarcho-capitalism espoused by central figures such as Karl Hess and Murray Rothbard in the period of Left and Right and Libertarian Forum, that frankly they ought to be embarrassed to show it in public. In any case, since I am myself an individualist anarchist, and not an anarcho-capitalist or a social anarchist, I don’t have much of a dog in the fight, except insofar as it gets a bit tiresome watching the two bicker over the individualist tendency within the movement as if they were arguing over the contents of their dead grandmother’s will. We are still about and hardly need a bunch of anarcho-capitalists and social anarchists to do the talking for us. But setting aside most of the exegetical argument, there are a couple of claims that social anarchists routinely make about “the anarchist tradition” that need some closer scrutiny. 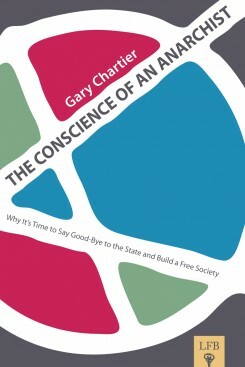 First, social anarchists claim that a no-government position is necessary but not sufficient for genuine anarchism; second, they claim that traditionally anarchists have understood anarchism to demand not only the abolition of the State as such, but also opposition to capitalism, in some fairly robust sense, and that the anti-capitalist position is as essential to all genuine traditional anarchism as the anti-statist position. 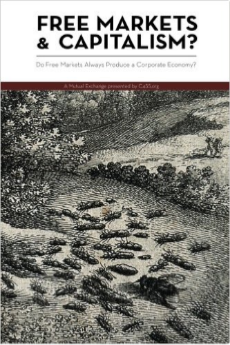 Hence the amount of ink spilled in order to demonstrate that Benjamin Tucker did, indeed, call himself an anarchistic socialist, that the individualists did indeed believe that wage workers were systemically exploited by employers, that they did support squatters over absentee landlords, and that the economic predominance of capitalists, landlords, and money barons in the marketplace was a creature of government privilege, which would collapse on a genuinely free market. (It’s actually not at all clear to me how this position is supposed to be radically different from Karl Hess’s position, or Rothbard’s position in Confiscation and the Homestead Principle. But whatever.) It is certainly true that Tucker and his comrades considered themselves socialists as well as individualists, and that they considered their socialism very important to their position. But did these traditional anarchists actually agree with contemporary social anarchists’ interpretive claims about the meaning of the term anarchism, or the essential features of the anarchist tradition? Roderick recently put up a good post about the attitude of Voltairine de Cleyre, during her earlier individualist anarchist phase. (De Cleyre later changed her position in a way that she understood as a rejection of individualist anarchism, and which social anarchists often claim was a conversion to anarcho-communism. But in fact her later position was more of an economic panarchy in which individualist and communist communities could coexist.) Now, here’s Tucker, in an column that he first penned for Liberty in 1890, and then reprinted in Instead of a Book. Tucker was responding to an explicit attempt to give definitions of socialism and anarchism in Hugh Pentecost’s radical paper, the Twentieth Century. The boldface is mine. Take now another Twentieth Century definition, — that of Anarchism. I have not the number of the paper in which it was given, and cannot quote it exactly. But it certainly made belief in co-operation an essential of Anarchism. This is as erroneous as the definition of Socialism. 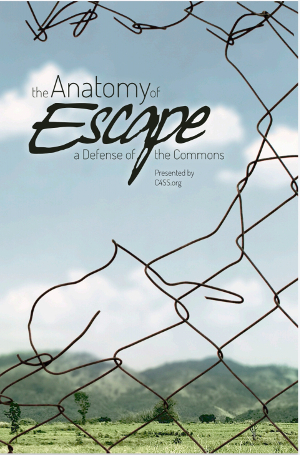 Co-operation is no more an essential of Anarchism than force is of Socialism. The fact that the majority of Anarchists believe in co-operation is not what makes them Anarchists, just as the fact that the majority of Socialists believe in force is not what makes them Socialists. Socialism is neither for nor against liberty; Anarchism is for liberty, and neither for nor against anything else. Anarchy is the mother of co-operation, — yes, just as liberty is the mother of order; but, as a matter of definition, liberty is not order nor is Anarchism co-operation. It will be observed that, according to the Twentieth Century definitions, Socialism excludes Anarchists, while, according to Liberty’s definitions, a Socialist may or may not be an Anarchist, and an Anarchist may or may not be a Socialist. Relaxing scientific exactness, it may be said, briefly and broadly, that Socialism is a battle with usury and that Anarchism is a battle with authority. The two armies — Socialism and Anarchism — are neither coextensive nor exclusive; but they overlap. The right wing of one is the left wing of the other. The virtue and superiority of the Anarchistic Socialist — or Socialistic Anarchist, as he may prefer to call himself — lies in the fact that he fights in the wing that is common to both. Of course there is a sense in which every Anarchist may be said to be a Socialist virtually, inasmuch as usury rests on authority, and to destroy the latter is to destroy the former. But it scarcely seems proper to give the name Socialist to one who is such unconsciously, neither desiring, intending, nor knowing it. — Benjamin Tucker, Armies that Overlap, Instead of a Book. ¶¶ 10–12. Tucker was famously strict in applying the term “anarchist” — he argued that professedly anti-statist communists such as Johann Most or the Haymarket martyrs were not in fact anarchists, but only governmentalists of a different stripe who had illegitimately appropriated the term from the proponents of individual property and free markets. So it’s interesting to note that here, while Tucker places himself in the socialist camp, he is explicitly willing to grant the name “anarchist” to those who oppose the state even if they reject socialism and accept or support capitalistic “usury;” it would seem that Tucker would have accepted anarcho-capitalism, but not many forms of social anarchism, as legitimately anarchistic. If it were the 19th century individualists who were separating the sheep from the goats, instead of having a bunch of latter-day social anarchists swoop in putatively to do it on their behalf and save them from the evil schemes of the an-caps, then you’d get a very different line-up for the anarchist tradition; of the two Murrays, Rothbard would probably be in, and Bookchin would probably be out. Now, that’s an interesting result. Not because of the fact that Tucker must be right about this; just because Tucker used the word one way doesn’t mean that everyone did then, or that everyone has to now. After all, I certainly don’t have any problem with referring to Most or Albert Parsons or Kropotkin as an anarchist, even though I think that there are key points on which Tucker is right and they are wrong. But I do think that it’s important, if you’re going to go appeal to the anarchist tradition, to make sure that the claims you’re making about continuity and essential features are supported by how those traditional anarchists saw themselves, and not just a projection of your own priorities and your own ideas about what’s essential onto your predecessors. Given what Tucker, for one, actually said about what he understood anarchism to mean, and who he would or would not recognize as a fellow anarchist, I don’t think that the the social anarchist polemics have done a very good job of that, as far as the Liberty individualists are concerned.